It is Almost time, yet again, when Nigerian Muslims celebrate the successful completion of the 30-day fast, in the holy month of Ramadan. During the month, Muslims, except infants and the very old, are obligated to fast from dawn till dusk. Ramadan is a month of spiritual recharge, community love and empathy to fellow humans, particularly the lowly and the humble. That explains the spirit of community solidarity and charity behind the iftar, the breaking of fast. Though Ramadan mandates Muslims to abstain from food and other forms of pleasure, the month also offers excellent spiritual fare. That explains the special Ramadan lectures, and allied spiritual activities, often reserved for the holy month. Since Islam dictates Ramadan be a community affair, it is also an excellent time to propagate Islam; by so doing recharging, as it were, the spiritual battery of Muslims; and also projecting, to the practitioners of other faiths, the true essence of the religion. 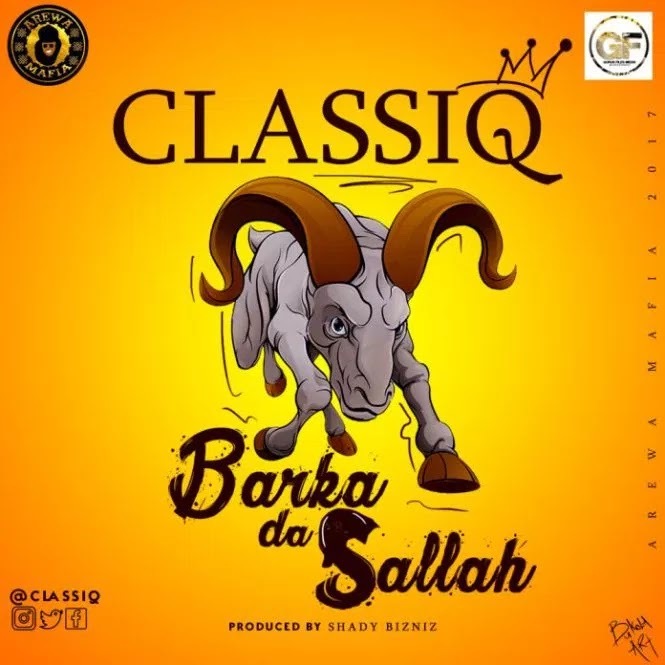 “” In the mood of Ramadan and as we usher in the celebration of Sallah, ClassiQ celebrates with his Muslim fans world wide the Sallah festival with a new tune he titled ‘Barka Da Sallah’.